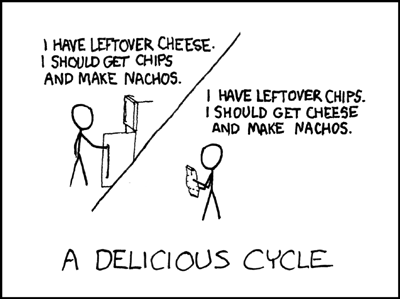 I recently stumbled upon two really great ways to waste my time- the webcomic site XKCD and the blogspot site Postsecret. 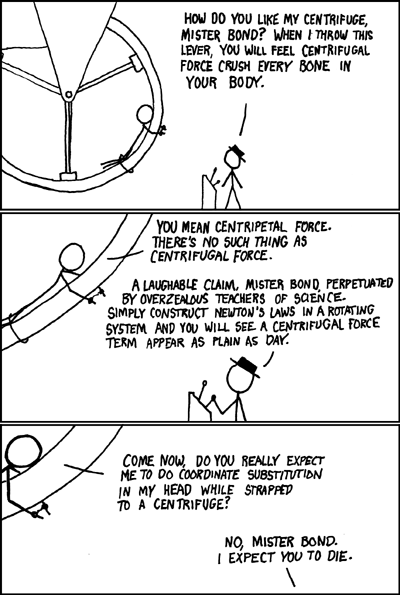 XKCD (Randall Monroe says "It's not actually an acronym. It's just a word with no phonetic pronunciation") is an online comic website started by Randall Monroe compiled from the margins of his old physics and math notebooks. It's for anyone who has taken an advance math class, gotten their heart broken, or appreciates sarcasm, or has an uncanny fear of velociraptor attacks. 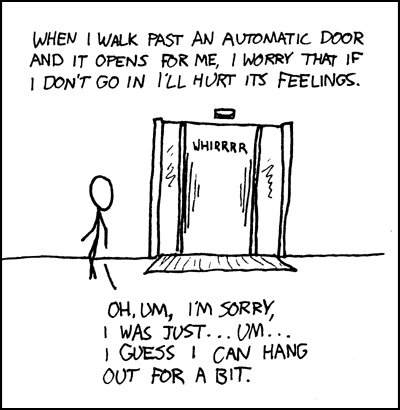 There is a comic featuring these stick figures for almost every situation. I spend way too much time laughing at this website, and I encourage you to do the same. Postsecret is a community art website run by Frank Warren that receives postcards from all over the world with peoples' secrets written on them. He posts a new card with a secret on it every Sunday. The cards range from sweet to hilarious to heartbreaking. There are also a few books compiling the postsecrets that they have received.They've gained so much popularity (they even have a book tour!) because the postcards are so easy to relate to and they make you want to send in postsecrets of your own.